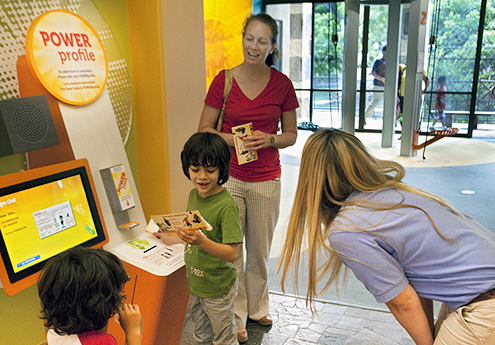 H-E-B Body Adventure Witte Museum « Jeff Kennedy Associates, Inc. Developed to address the growing concern with childhood obesity, a significant issue nationally and of major concern in the south Texas region, the H-E-B Body Adventure is a 6,000 square foot health promotion exhibition. The new experience transforms the Witte’s most popular attraction for school aged visitors, Science Treehouse, into a highly personalized experience with appeal for young and old alike. In it, a networked system of components recognizes visitors’ unique identities as they move throughout the exhibition, enabling them to measure performance and answer questions about health attitudes and behaviors. The Body Adventure’s powerful regional focus and high-attraction full body activities combine health science learning with active play. 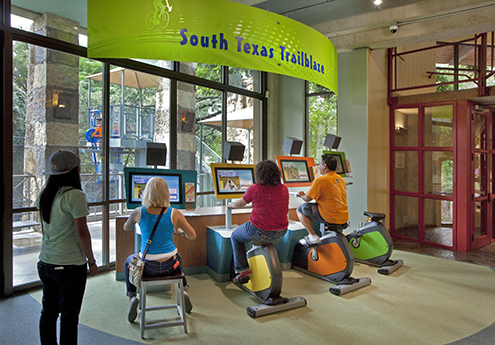 To frame the exhibit experience, components are interwoven with documentary video of a group of a dozen South Texans, ages 10 – 62, who trained and participated together in an authentic River Trek event. Any of these ‘buddies’ can be selected by visitors to accompany them through their own Adventure as a learning companion. 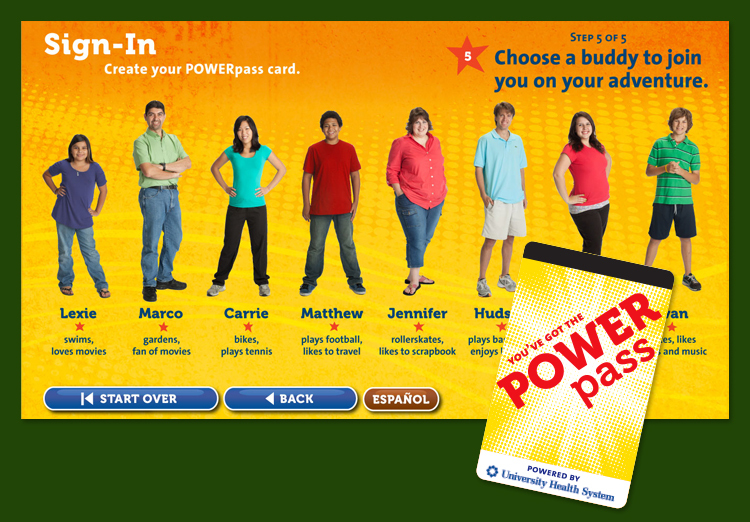 Signing in, visitors enter their name, gender, age and zip code and choose a buddy who will become their learning companion throughout the Adventure. 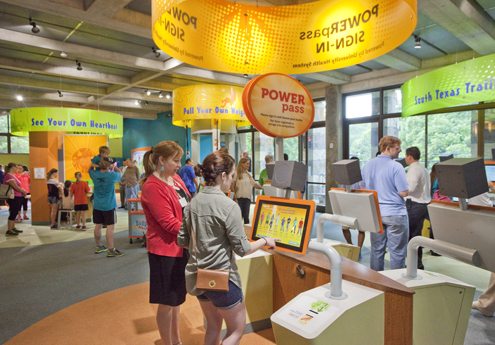 Each visitor receives a POWERpass that lets them activate components and be recognized by the exhibit’s networked system. At South Texas Trailblaze, riders race through familiar South Texan terrain, challenged to reach and sustain their target heart rates. As they ride, their buddies appear onscreen to explain the how the heart works as a muscle, pumping oxygen-rich blood throughout the body. At Pick Up Your Pace, visitors’ striding silhouettes are captured as they move along a walkway, at the end of which a display gives them an energy score. 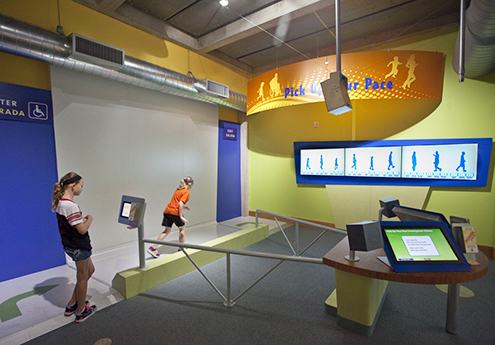 At an adjacent station, they can compare their stride speed and length with those of other visitors and local basketball stars, and see how long it would take them to make the 13-mile River Trek their buddies made. 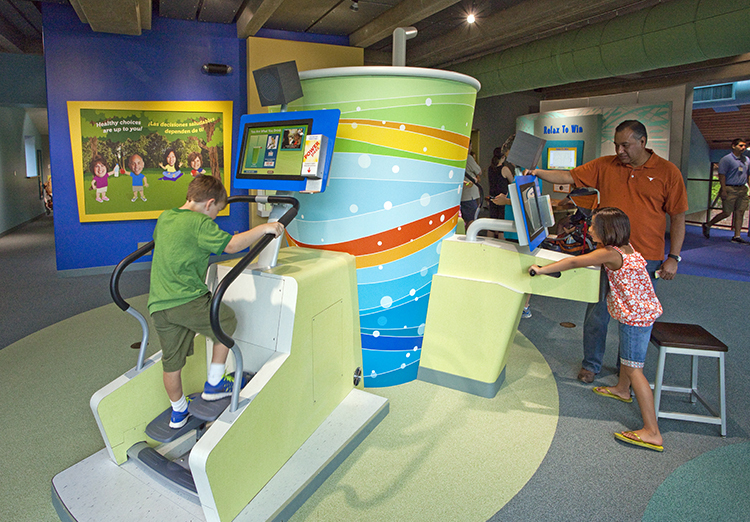 You Are What You Drink is a high-attraction multi-station experience underscoring a key health promotion message: choose what you drink carefully, avoiding empty-calorie-filled sugary drinks that take a long time to work off. Signing out, visitors receive a souvenir printout to take home. Images on the printout showcase bobbleheads of themselves and their buddies made at an All About You survey station, along with personal data recorded at each of the networked components. Toddlers and their caretakers have a special space of their own within the exhibition. 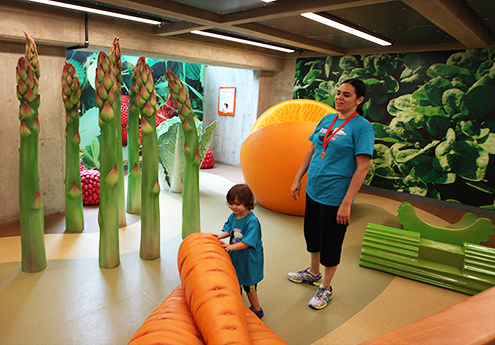 The fanciful food-themed landscape offers great opportunities for full body play that develops motor skills and builds confidence.